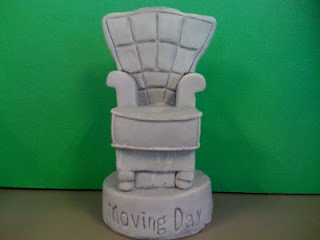 We put together a contest for those that got a MOVING DAY "Chair" at last week's Phx Film Festival (right). This figurine is the first marketing piece we've created for the film. 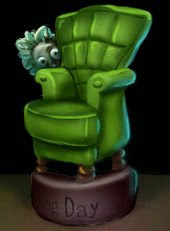 The contest is for people to paint their chair, take 3 photos of it, and email back to us at contest@karmacreek.com. Here's an example from one of our resident artists, Duane (left), just to get the motors running. So, now it's your turn to come up with something special. The winner gets a very special reward. Stay tuned for more details.